If you are considering purchasing a high-priced or luxury home, a conforming home loan may not be adequate. In the United States, a conforming loan conforms to Fannie Mae and Freddie Mac, or GSE, guidelines. As of 2017, the limit on conforming loans is $424,100 for single family homes. A home loan is considered jumbo if the amount of the mortgage exceeds this limit. At Fairfax Mortgage Investments (FMI), we provide residents in the Maryland, Virginia, and Washington DC areas with the financing they need to obtain their dream home. We offer a wide range of loan services, including jumbo loans. Jumbo loans differ from conventional loans as the mortgages are far more expensive. However, this does not mean that these home loans are restricted to the rich and famous. Housing markets do not look the same in every state and city across the United States. In some areas, the conforming loan limit is higher as home buyers generally live in high-cost communities. This is also true closer to home. We provide jumbo loans in high-price real estate markets locally, like in the Washington, DC metropolitan area. It is also important to note that jumbo loans are not just limited to your primary residence. You can also take out a jumbo loan for an investment property or vacation home. As with a conventional home loan, you will need to meet certain requirements to qualify for a jumbo loan. While these loans are known to have lower rates, they also have strict terms. In the past, the interest rates on jumbo loans were higher than the rate of conventional mortgages. Today, there is little difference. A quality borrower for a jumbo loan is someone who has excellent credit, low debt, and sufficient income and assets. To help determine if you can afford the mortgage payments on a jumbo loan, look at your debt-to-income ratio which compares pre-tax income to monthly debt payments. You will also want to have cash in the bank before trying to secure a jumbo loan, especially if you are self-employed. It is wise to have a minimum of six months of funds to put towards your jumbo loan. You will also want to have money saved to cover any emergencies as well as normal housing expenses. As a general rule of thumb, borrowers should have at least 10 percent of the amount of money they are borrowing in a brokerage or savings account. Jumbo home loans provide borrowers with the opportunity to buy luxury homes or refinance their existing high-priced mortgage. While the requirements for this type of loan are far stricter than with conventional loans, they also offer many benefits. In addition to being able to buy a more costlier home than what conforming loans allow, borrowers are often able to acquire lower interest rates with as little as 10 percent down. 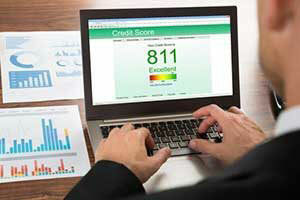 The amount you want to finance, along with your credit score and down payment amount, will help determine if you are eligible. Fairfax Mortgage thrives at finding the right loan products for every borrower’s unique circumstances. Real estate is expensive and most home buyers require some type of loan to make a purchase. With a jumbo loan, borrowers who desire more costly homes do not need to go through the complex process of taking out two separate loans to cover the price of the home. Jumbo loans simplify the process by offering a single, larger loan that covers the entire price of the property. Like traditional mortgages, home buyers have access to a variety of jumbo loan programs, such as fixed rate and adjustable-rate mortgages. Applying for a jumbo loan is similar to applying for a traditional mortgage. Start by gathering all essential documents, including your most recent W2 forms, pay stubs, tax returns, and bank statements. 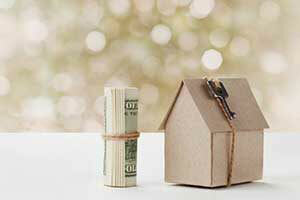 You will also need to prove that you have accessible cash to cover your larger mortgage payments. The specific income levels required will depend on the overall size of the loan, as well as your credit score and assets. Both first time home buyers and established buyers may qualify for a jumbo loan if they meet the strict requirements. When you are ready to apply for a jumbo loan, schedule a consultation with Fairfax Mortgage to determine if you qualify. We will work you through each step to try and get you a home loan with favorable terms. Our loan officers have experience with all types of home loans, including jumbo loans, and can help you weigh your options to find the best loan product for your situation. Fairfax Mortgage Investments is fully licensed in the state of Maryland, Florida, Virginia, Delaware, and the District of Columbia. Fairfax Mortgage has more than 34 years of experience in the real estate business. We have helped thousands of clients secure home loans, and have played a major role in helping them obtain their dream homes. We work with borrowers every step of the day, from the initial application through to closing day. We even work with borrowers who have been told by other brokers that their case was “too difficult.” Our dedicated team of loan experts is trained to look at every detail of your case to help you become qualified for a home loan that best suits your credit, budget, and income. Qualifying for a jumbo home loan is easier than you think. At Fairfax Mortgage Investments, we are committed to assisting more borrowers with achieving their dream of becoming an owner of a luxury or high-priced home. We tailor our services to give each client a personalized lending solution that meets their needs. Are you ready to get started? Applying for a jumbo loan is easy. Simply fill out our convenient online form and one of our loan experts will promptly get back to you to discuss your loan options. You can also contact us by phone at (703) 214-7255 to ask a question or schedule a consultation with a certified mortgage broker.